Description: A horror-adventure game that was never released outside Japan. Most of the dialogue is in English and Spanish with Japanese subtitles. 03-13-2016 doctorlaudanum Description A horror-adventure game that was never released outside Japan. Most of the dialogue is in English and Spanish with Japanese subtitles. 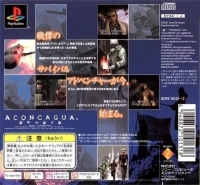 This is a list of VGCollect users who have Aconcagua in their Collection. 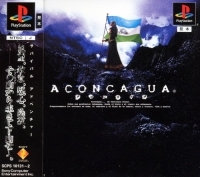 This is a list of VGCollect users who have Aconcagua in their Sell List. This is a list of VGCollect users who have Aconcagua in their Wish List.